The smart home has blown up in the past few years, and today there are a zillion (approximately) different connected gadgets you can put in your house – everything from smart locks, to lights, to automatic window shades. The only problem, however, is that the market is fragmented. Not all smart devices speak the same language. 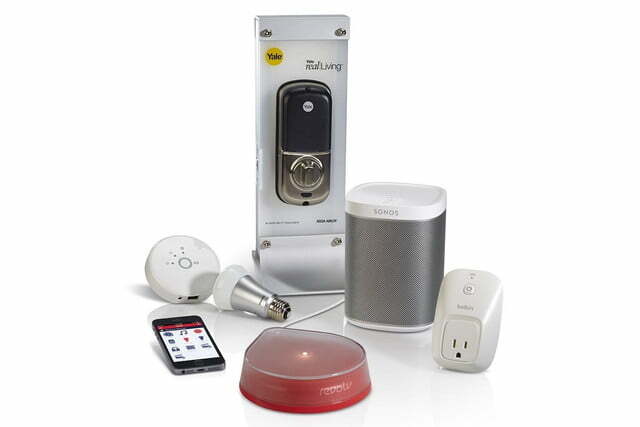 Some speak Zigbee, some speak Z-Wave, others only hablo Insteon, and a few only know Wi-Fi. And if they don’t speak the same language, they can’t work together. Revolv doesn’t like that. It doesn’t like the fact that the fragmented camps of home automation limit your choices of products, so it built a hub that brought them all together. 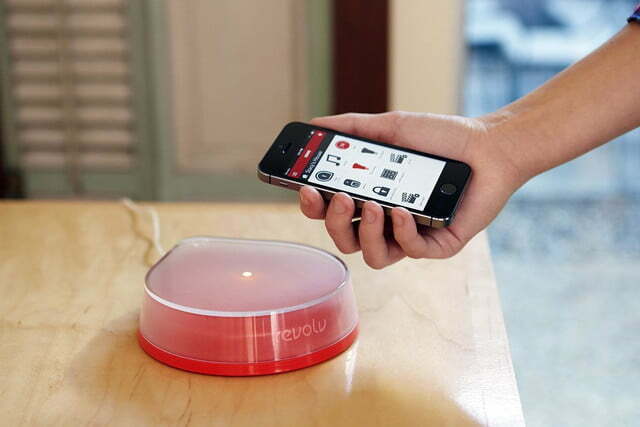 Think of Revolv as a universal translator. Boasting a whopping seven different radios underneath it’s candy-colored shell, it can speak to pretty much any smart device in the biz, and can also link them together. The idea is that this hub can unify all your different smart devices, and give you access to their controls all from one place, so to see if it lives up to its claims, we brought Revolv home and put it to the test. The whole point of all these DIY smart home gadgets is that they don’t come with the arduous installation processes that home automation systems used to require. They’re supposed to be simple to set up, and Revolv’s designers definitely score big points for ease of use. To get started with this thing, all you need to do is plug in the hub to a power source – no need to tether it to your router with an Ethernet cable. It connects to your network wirelessly, which is excellent, especially if your router’s Ethernet ports are already filled up by other Web-connected gadgets. 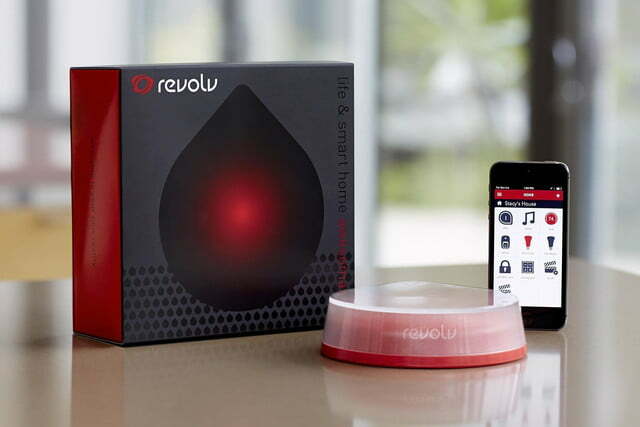 To link it to your smartphone and home wireless network, Revolv has cooked up a system it calls FlashLink to transfer data between phone and Hub. After you download the app and plug in the hub, you’ll be prompted to hold your phone above it, and the LED flash on the iPhone will flicker out the details like a high-tech Aldis lamp, which is then picked up by a photoreceptor in the Hub. If you’re using the app in double-size mode on the iPad, which lacks a flash, it flickers the display instead. Once this odd process is finished, all thats left is to sync the hub with whatever smart devices you’ve got littered around your house. The method varies from product to product, but generally speaking all this takes is tapping a button on the app, then pressing the sync button on each individual device. It took us about two minutes to link up three different devices. All in all, the entire process was a breeze. The underlying idea behind Revolv is that it provides a unified place for you to control all your smart-home gizmos, and also link them together, so to put it to the test we connected the hub to three different smart devices: a Sonos Play One speaker, a set of Philips Hue bulbs, and a Belkin WeMo plug. Each one of these devices had to be set up and synced manually with the app, but once they were, all three were accessible from one dashboard, which was definitely a breath of fresh air. Oftentimes, opening up a separate apps just to turn on your lights and stereo is slower and more difficult than actually getting off the couch and doing it manually, so we immediately appreciated the convenience of having everything in one place. … we immediately appreciated the convenience of having everything in one place. That being said, we were a bit worried that using this kind of unified third-party application would force us to sacrifice the advanced controls offered by each device’s prorietary app. Once we dug in and stared using it, we quickly realized that this wasn’t much of an issue. 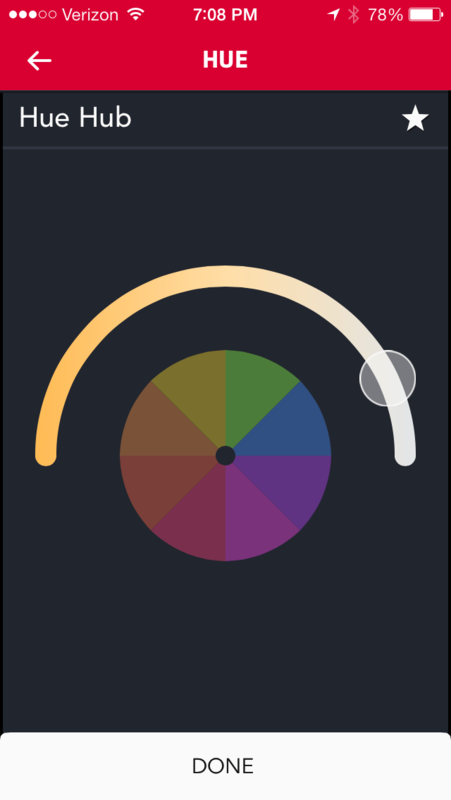 Revolv’s app has been carefully built to provide the same level of control offered by each individual app, but with a more intuitive interface. 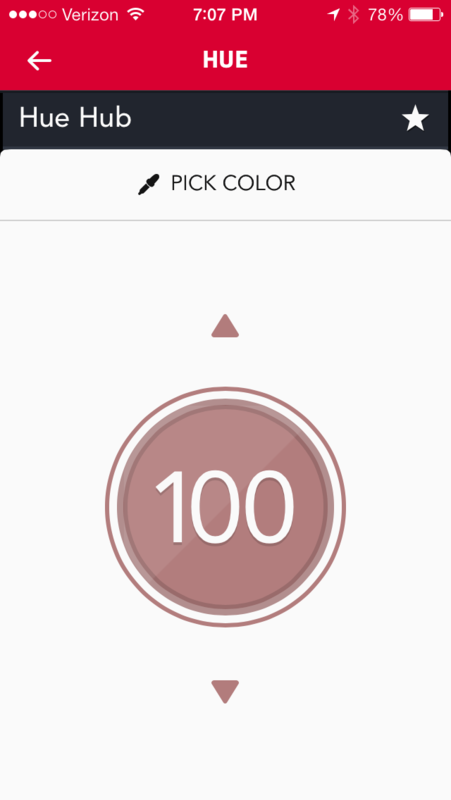 Take the Philips Hue controller, for example. With just a few taps and swipes, Revolv allows you to turn individual lights on or off, adjust their brightness, and select what color they put off. 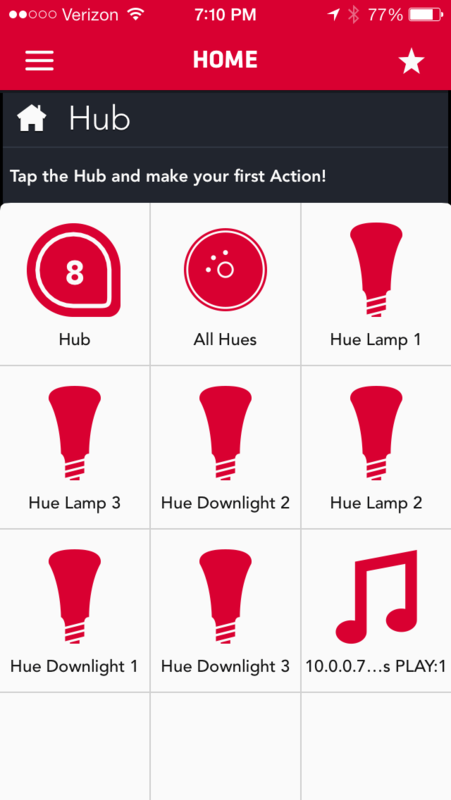 You can even set up presets for groups of lights, just like you can with the Philips app. 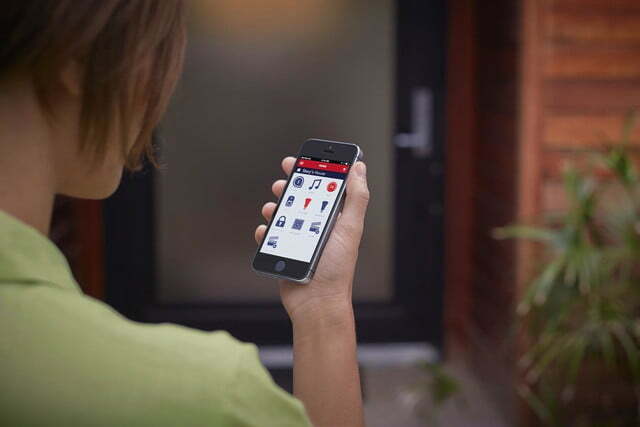 In this case, we actually found Revolv’s app to be more intuitive and simple. Same story for the Sonos speaker controller. In addition to simple volume and playback controls, Revolv gives you quick access to your music library, playlists, and radio stations. 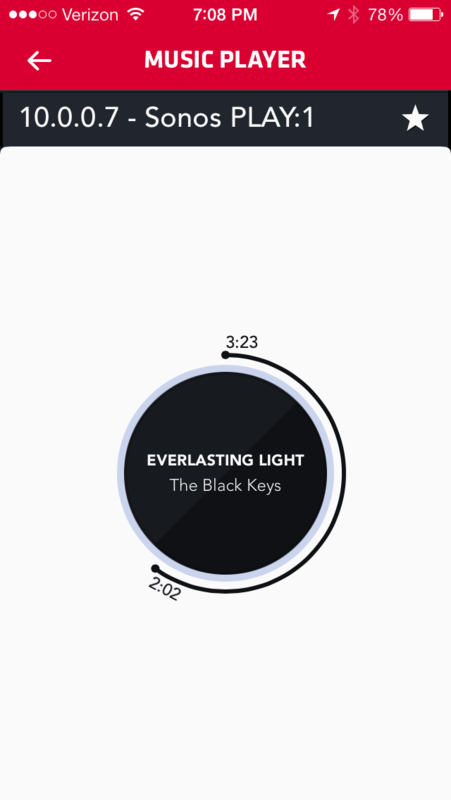 There were a few advanced options that were missing (like adding songs to a collaborative playlist, for example) but for the most part, all the important functions were provided in a clean, easy-to-navigate interface. We can’t speak for all devices since we only tested it with three of them, but in our experience the Revolv app provides an outstanding control interface for a wide array of different devices. The only gripe we have is that it seems to be slightly less responsive, and commands don’t register quite as quickly as they do when you’re using a smart device’s original app. This delay, however, was only a fraction of a second, so it wasn’t too big of a deal. 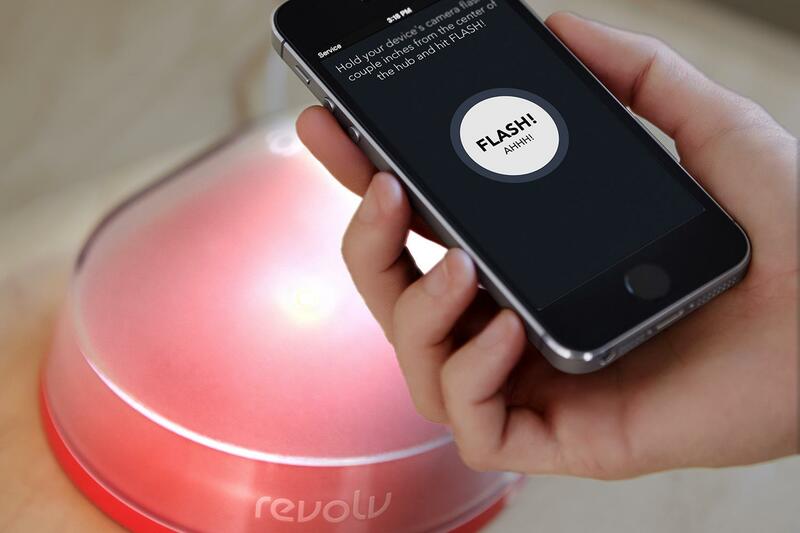 Based on our experience with Revolv, it’s hard not to like it. The ability to control all your connected home tech from one easy-to-use dashboard solves one of the biggest annoyances that comes with a smart home, and despite the fact that it forces you to give up some of the more advanced controls for certain devices, the highly intuitive smartphone app makes the experience feel very streamlined overall. If you’re looking to start smartening up your home and don’t want to limit yourself to one particular home automation ecosystem (Zigbee, Z-Wave, Insteon, etc. ), Revolv’s multilingual hub is precisely what you need.